A worn silver unit struck for the East Anglian region/Iceni, dating c. 10-40 AD. Rudd's 'Norfolk Boar Star' type, ABC no. 1579. 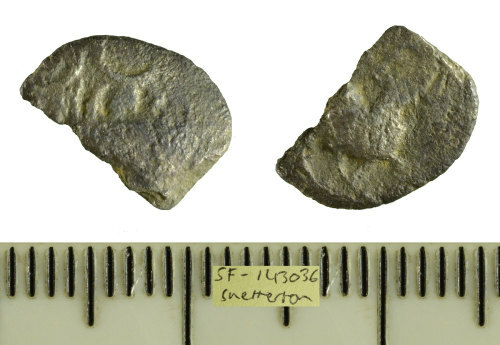 An uninscribed silver unit struck for the East Anglian region/Iceni, dating c. 40-20 BC. Rudd's 'Norfolk Boar Phallic' type, see ABC no. 1582.